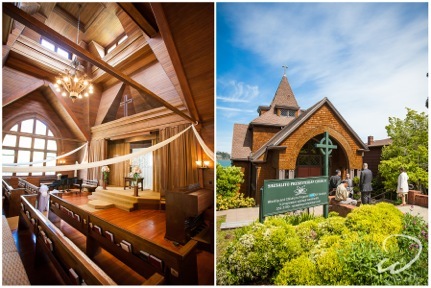 Sausalito Presbyterian Church is an exquisite wedding and sacred celebrations site. Picturesque, inclusive, and easily accessible from most Bay Area cities, the architectural and spiritual charm is a delight for all. Set in the oak-clad hills of Sausalito just across the Golden Gate Bridge in Marin County, the craftsman style building has a redwood-shingled exterior and striking architectural features, including leaded glass skylights and a dramatic pyramid-shaped ceiling. Sunlight streams in through tall arched windows, and 20 wall sconces cast a romantic glow. This historic church has occupied its enviable location overlooking the San Francisco Bay for more than a hundred years. And for almost as long it has been a very special place to exchange vows. Couples of all faiths, nationalities and sexual orientation are welcome! Enjoy the stories and photos of several recent celebrations below. And these short, exceptionally beautiful videos invite your excitement with options for your own celebrations. 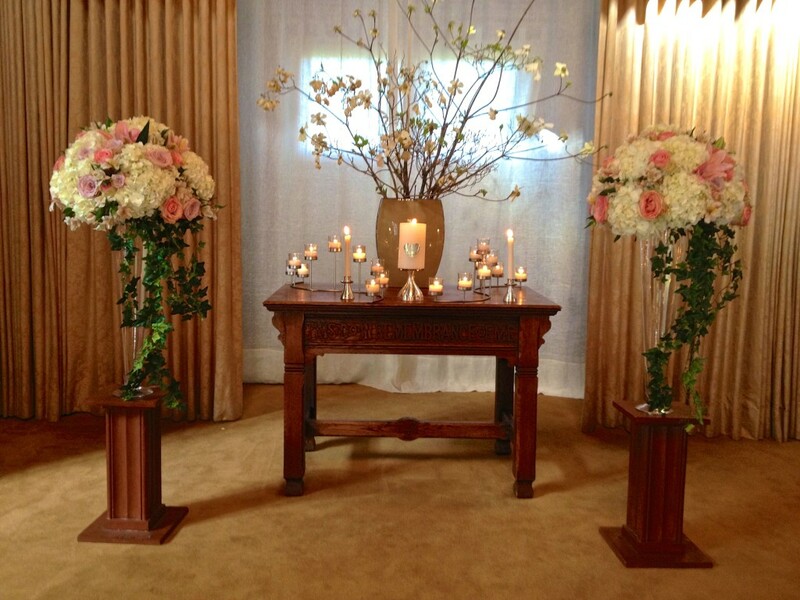 We would love to help you create the ceremony of your dreams. 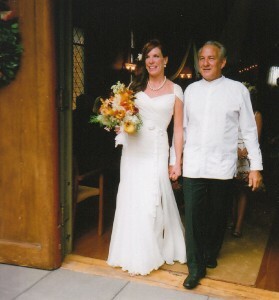 Contact Shirley Latta, wedding director, shirleyelatta@gmail.com, 415-205-1913. This screenshot is from the exquisite video below, from a May 2016 wedding. Thank you Baby Blue Films! Bride Alice was born in Chicago. Her parents were born in South Korea. Groom Aditya was born in India. 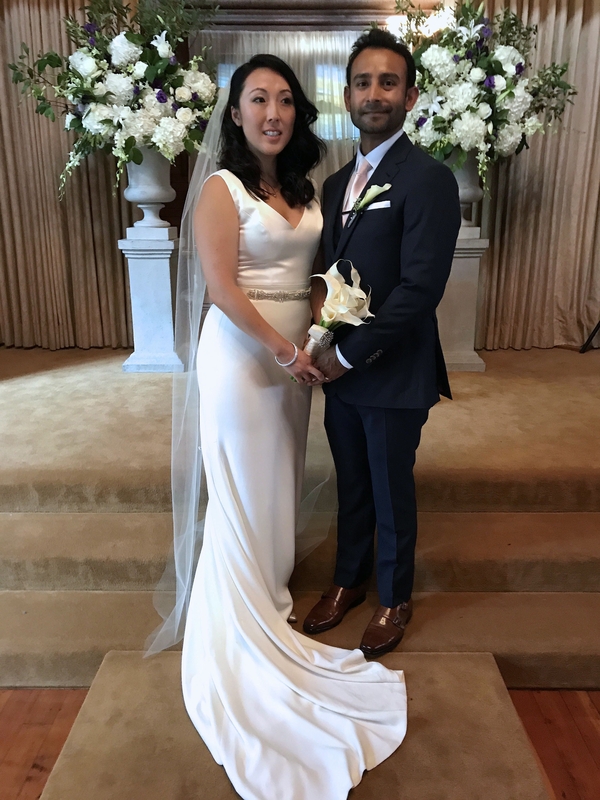 His parents and close family traveled from India and Dubai for a Sunday wedding at Sausalito Presbyterian Church – on the hottest, record breaking day of Indian Summer! A traditional Hindu ceremony was performed on Saturday. 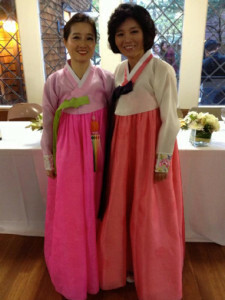 Elegant guests, visiting Sausalito for the first time, brightened the church pews in their many colored silk Indian saris or Korean dress. 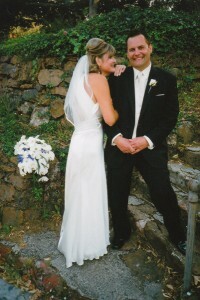 Music and dance was an important element of the wedding day activities. 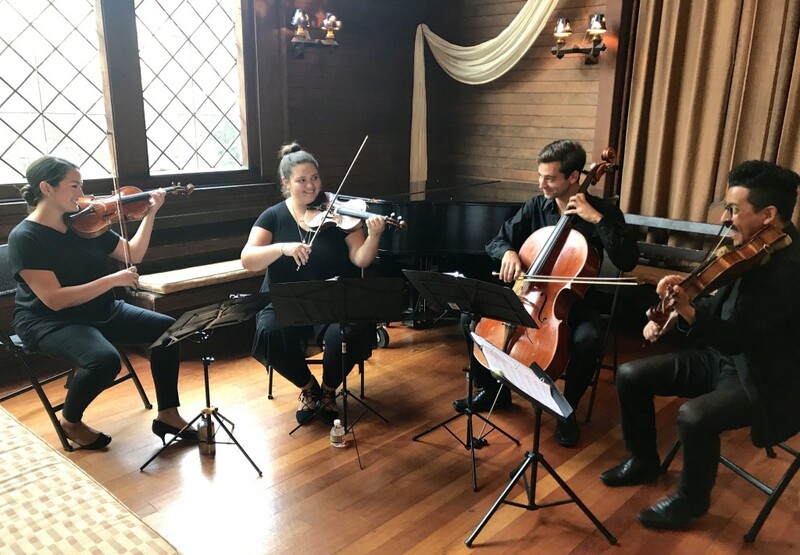 The Thalea String Quartet performed for the church ceremony. And as the sun was finally going down, Korean and Indian dancers entertained at an Ondine (on the water) reception. Alice and Aditya will have much to remember since a drone circled above the church and captured the waving sixty-five guests who gathered on the church steps after the ceremony – just as the first breeze of the weekend came off the Bay. 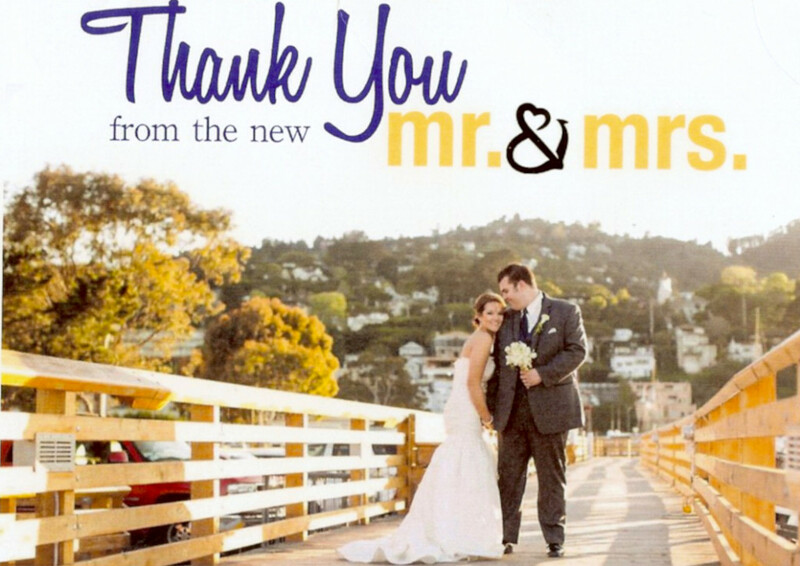 The couple will continue their medical practices and make their home in San Francisco. 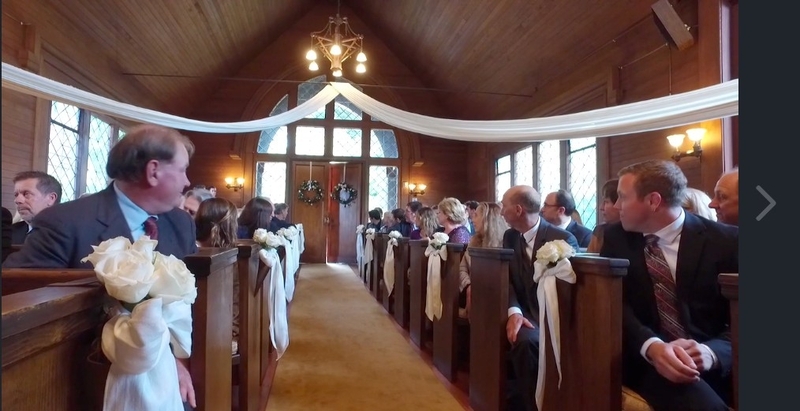 (Below) Beautiful video of Chelsea and Sharam’s wedding. Thanks to Bay Area Videographer, Baby Blue Film, for sharing! Stuart and Maria work in Emergency Services in Worcestershire, United Kingdom. Since they have stressful careers, they try to “enjoy life to the full”. 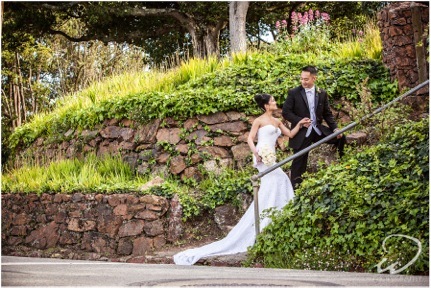 For them, as a couple “laughter is key.” Stuart proposed to Maria in Sausalito two years ago and right away, they booked their wedding ceremony at Sausalito Presbyterian Church. 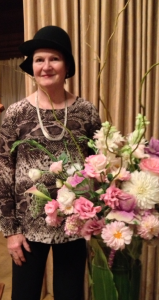 It was a delight to welcome this charming English couple and their elegant family and guests to our little church on the hill – men in grey pinstripes and ladies in Summer florals and, or course marvelous HATS! A close friend in a fanciful pinwheel hat recited “An Irish Blessing”. The poem has special meaning because Maria’s recently passed grandfather was Irish. 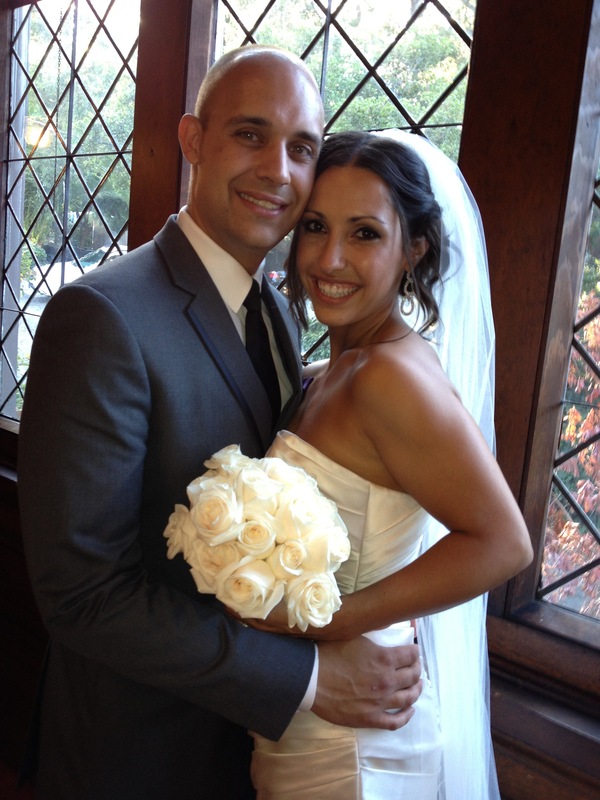 She tied a heart shaped silver locket with his picture to her wedding bouquet. As a memory of the wedding, Sausalito and San Francisco – Stuart put together a 30 minute CD of songs for each guests – “On the Dock of the Bay” included everything from The Mamas & Papas and The Beach Boys to Tony Bennet. After the ceremony the guests were shuttled down the hill and onto the Empress Yacht for a full moon lit champagne dinner. After saying “I do”, you might choose to lead your guests down the garden steps to your reception at Thomson Hall, which features Australian hardwood floors, more leaded glass windows, and a private courtyard – a lovely spot for mingling over champagne and appetizers or just enjoying the Sausalito sunshine. 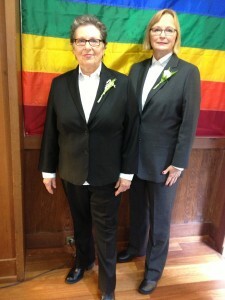 A WEDDING AFTER 38 YEARS! 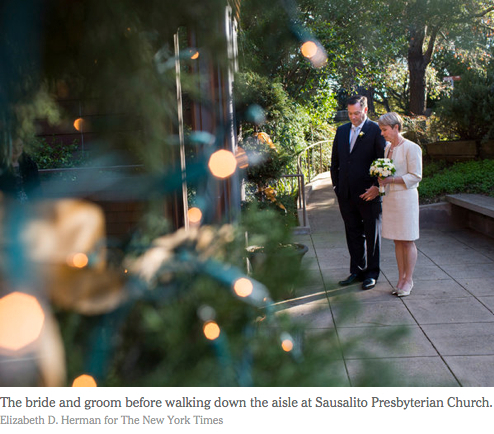 The amazing story leading to the Sausalito Presbyterian Church marriage and celebration of Kris and Kevin is so fascinating that it was featured in the Sunday NY Times Style/Wedding Section! The couple dated in high school. Both their mothers have remained friends for 40 years. But Kevin went off to medical school, became a pilot and ended up in Salt Lake City working as a doctor of chemical dependancy. He lectures around the world. 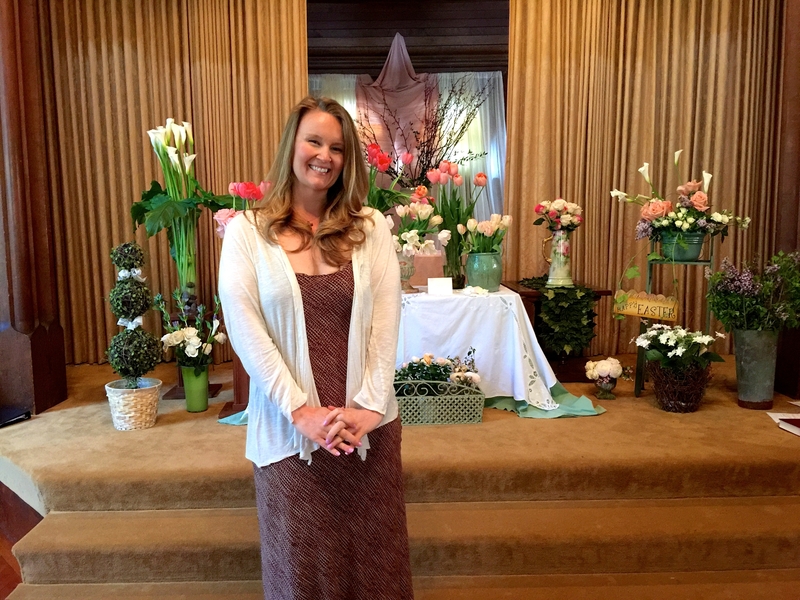 Kris married someone else, had three children and taught music at the Waldorf schools. 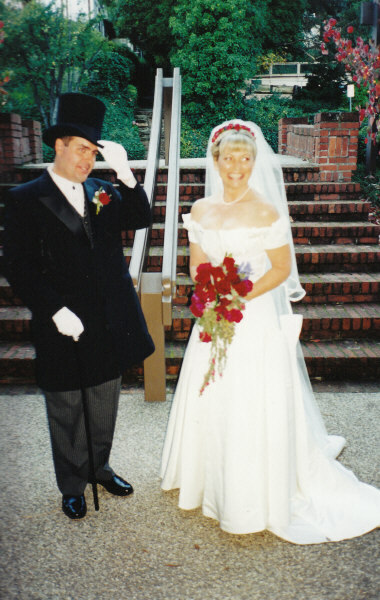 When her marriage ended after 18 years, Kevin reached out to her again. 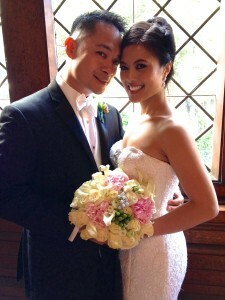 Their marriage ceremony began with Kris’s grandfather declaring “If music be the food of life, then let the music begin”! That was the queue for the Waldorf Alumi Octet, all former students of Kris, to perform selections by Purcell, Pachebel, Corelli, Handle and Torelli. The bride and groom entered the church to an Irish Jig “Haste to the Wedding”. 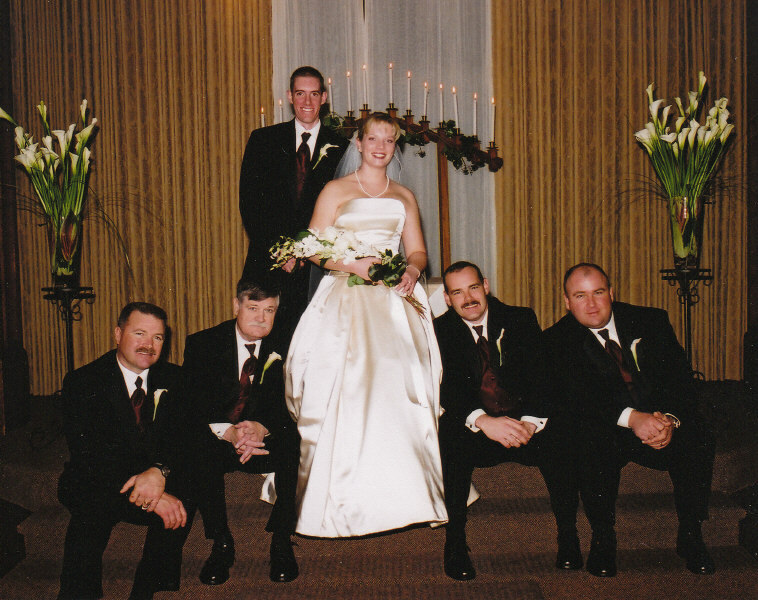 Former Presbyterian ministers and husband and wife performed an elegant ceremony. 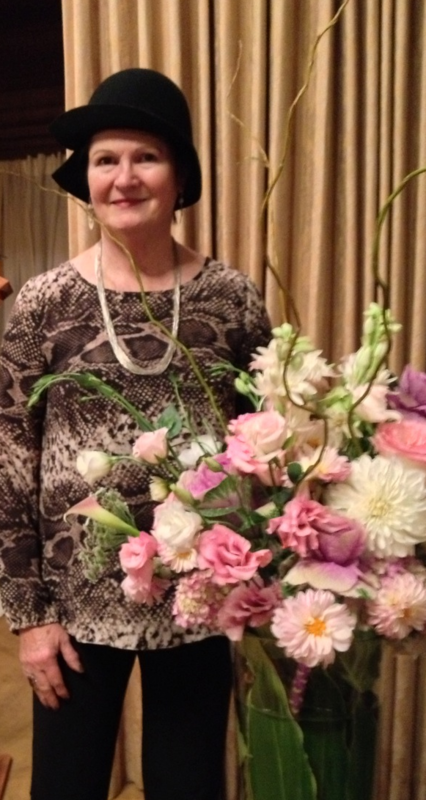 And the 70 guests continued down the flower lined stairs for a champagne and cake reception where all enjoyed piano jazz. Shakespeare was right about “Music being the food of life”! 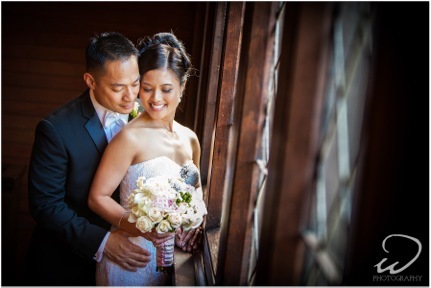 Emily and Jeffrey were married at Sausalito Presbyterian Church. 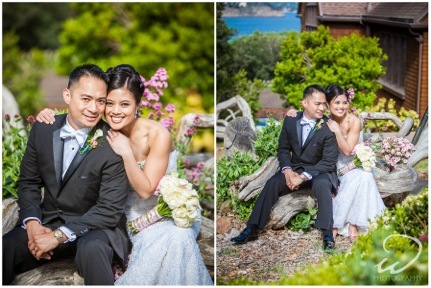 Talented photographer, Ricky Wong of W Photography captured these gorgeous pictures – on the deck of the Casa Madrona Hotel before the ceremony, inside the stunning century old church, in special locations in the garden areas just outside the church, and a final “end of the evening” reception shot on the deck of Ondine. Everything within walking distance. 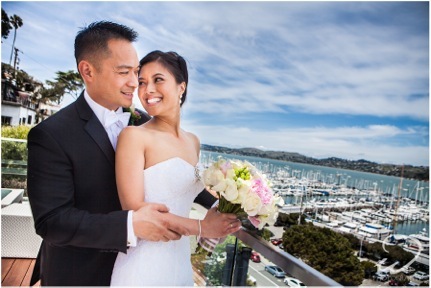 Sausalito, a place for beauty and a Romantic Wedding. 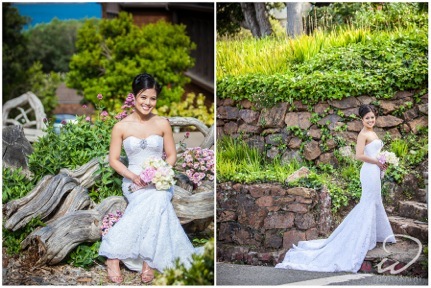 After being friends for 28 years, Emily and Jeffrey, with the grace and eloquence of a butterfly, transitioned into marriage at Sausalito Presbyterian Church on April 26th, 2014, and formed a loving home to include daughters Shirley and Julia. After a surprise butterfly release, the fourteen bridesmaids and groomsmen and the wedding guests, many from the Phillipines, took the short walk down the hill to the Ondine Reception and sunset Champagne toast. 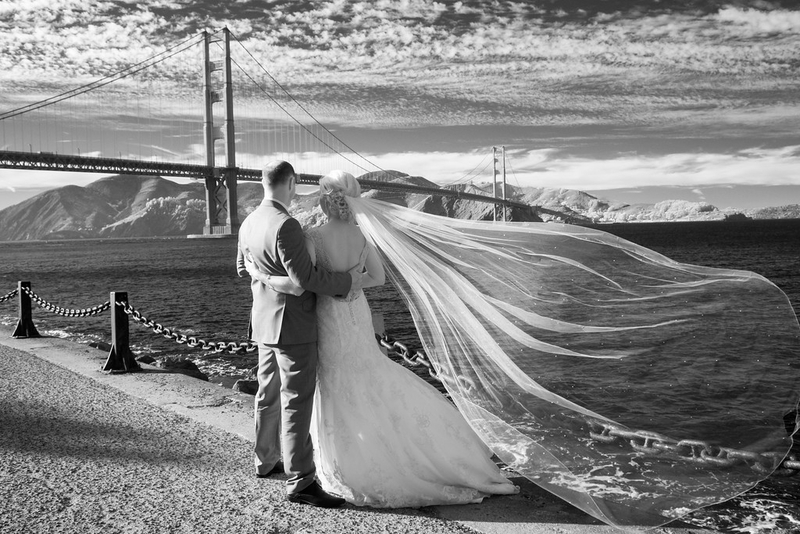 On a perfect Sausalito evening in July, tall elegant bride, Lexie, married her handsome prince charming, Steve, in a ceremony at SPC that was all about love. 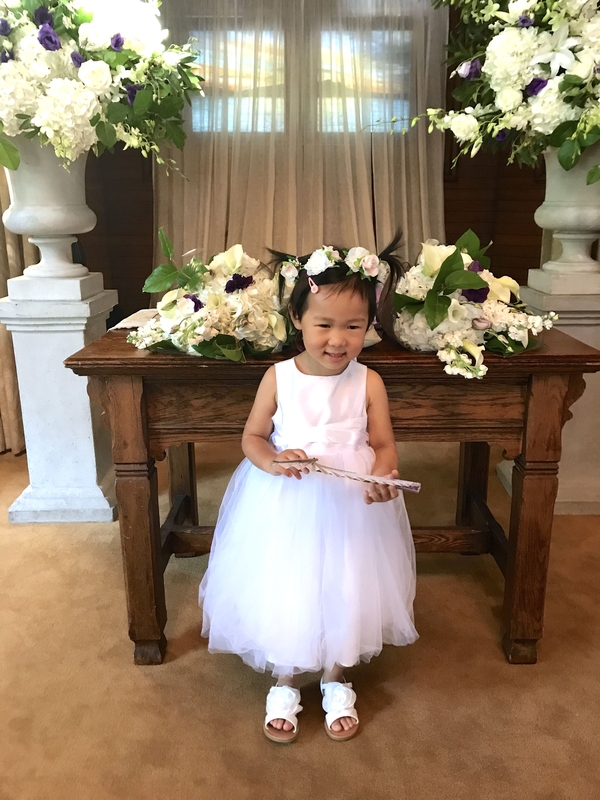 Lexie and her best-friend attendants entered the church down the aisle bordered with masses of fragrant rose petals and lovely rose pomanders tied to the pews. 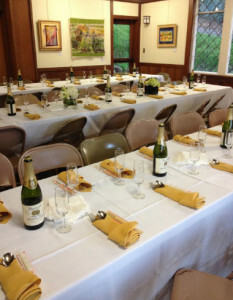 Most of the guests flew in from Seattle for a packed Sausalito-and-San Francisco weekend of celebrations. After the ceremony the couple drove down Princess Street in a dark navy convertible with Steve at the wheel and Lexie’s long veil billowing in the evening breeze. The guests followed to the Spinnaker on the waterfront — honking horns as neighbors and tourists shouted good wishes. But not until after a “bubble shower” and a group memory photo on the front steps of the church. A passing neighbor out for an evening stroll added to the evening’s enjoyment by calling, “Wear your wedding dress on each anniversary.” How many of us could still do that? 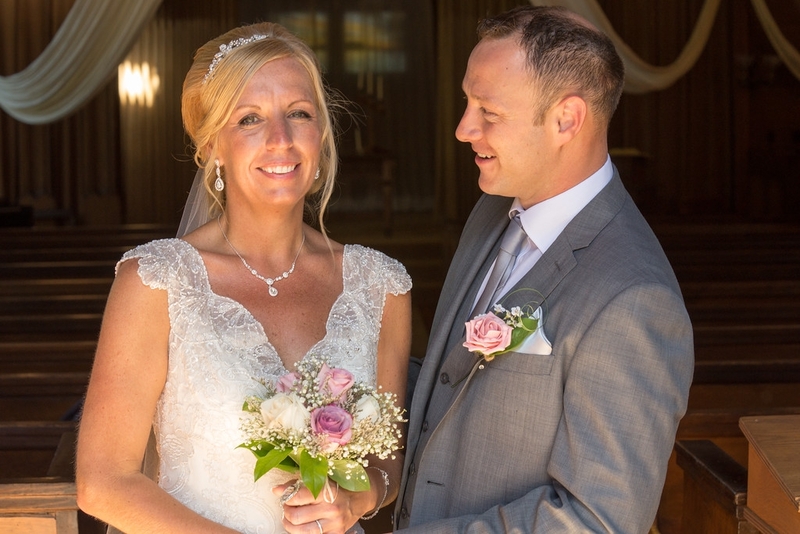 Contact our wonderful wedding director at shirleyelatta@gmail.com and return here to see regular updates. Bride Yong Bing Wei and groom Ke Guan traveled from Shanghai to be married in our beautiful church. 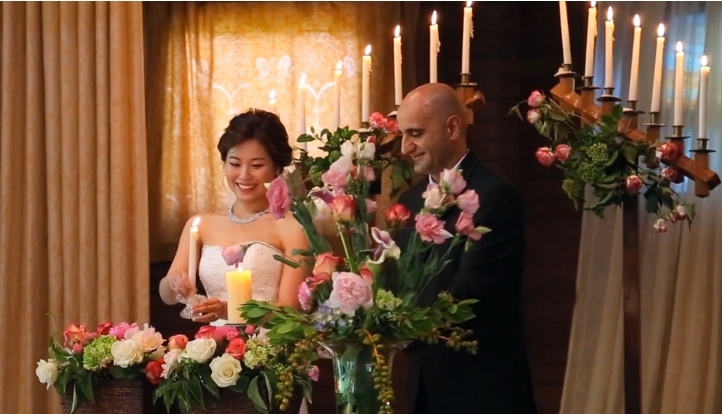 A close friend video taped the early evening ceremony to share with family in China. 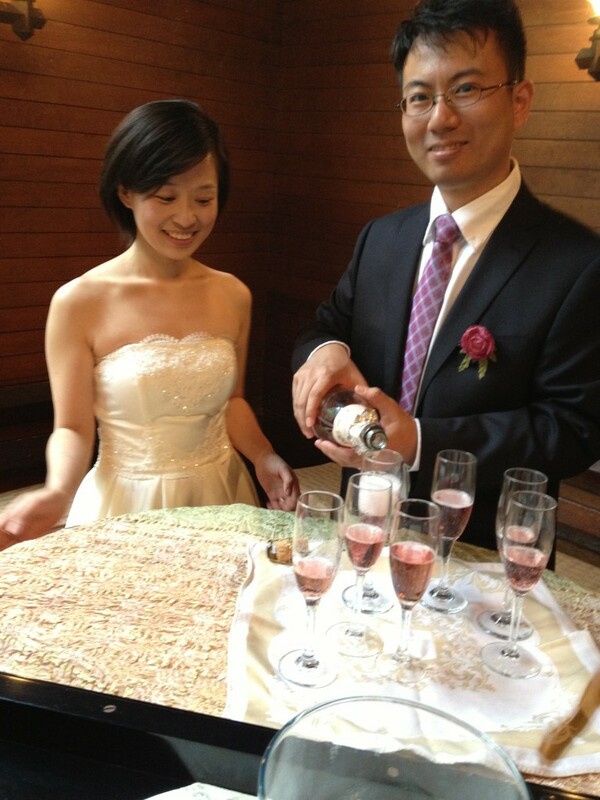 After the vows were made, the couple celebrated with a champagne toast around the piano as another friend treated everyone with Debussy’s elegant Arabesque. 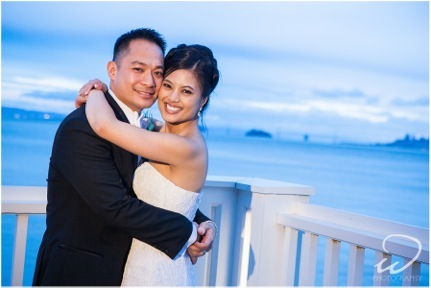 After a few days honeymoon exploring the Bay Area, Yong Bing and Ke will return to their home in China taking with them memories of Sausalito and our little church on the hill. 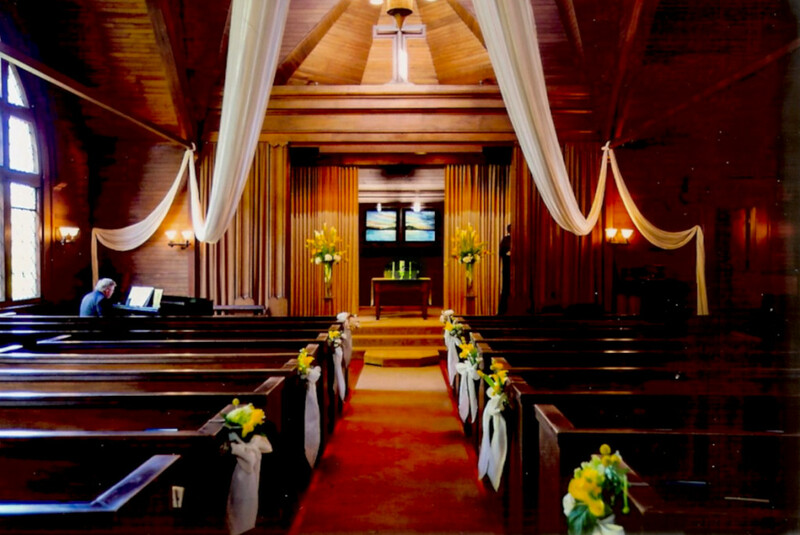 Sausalito Presbyterian Church, located just across the Golden Gate Bridge from San Francisco and nestled in the hills of picturesque Sausalito, has a long history of creating classic, meaningful, and unique wedding experiences. Couples of all faiths and backgrounds are welcome to start their lives together in our elegant historic sanctuary. Third-generation families have shared wedding vows in our church, and couples often return to show their children where they took their vows. The church’s shingle exterior is of the Arts and Crafts style of its famous architect, Ernest Coxhead. The building’s Gothic-arched porch and series of peaked rooflines draw the eye skywards. Some of the church’s most breathtaking features are the dramatic pyramid-shaped vaulted ceiling, leaded glass windows, and clerestory windows above. 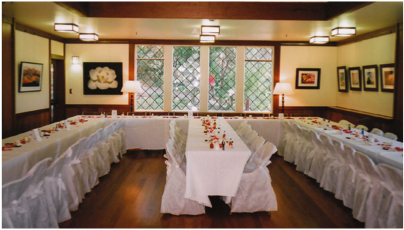 The interior is paneled in California redwood and the original floors gleam in the sunlight. 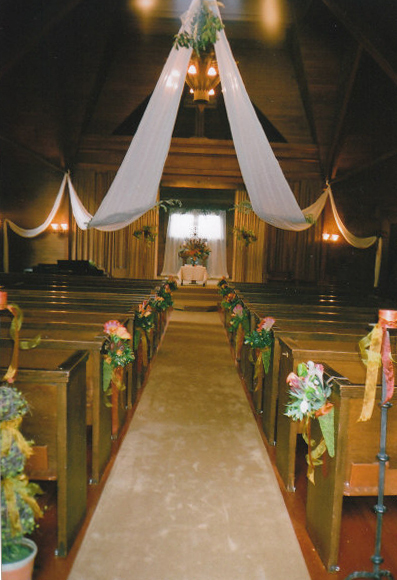 The chancel curtain is antique gold, and the pews are covered in designer fabric by Ray Eames. 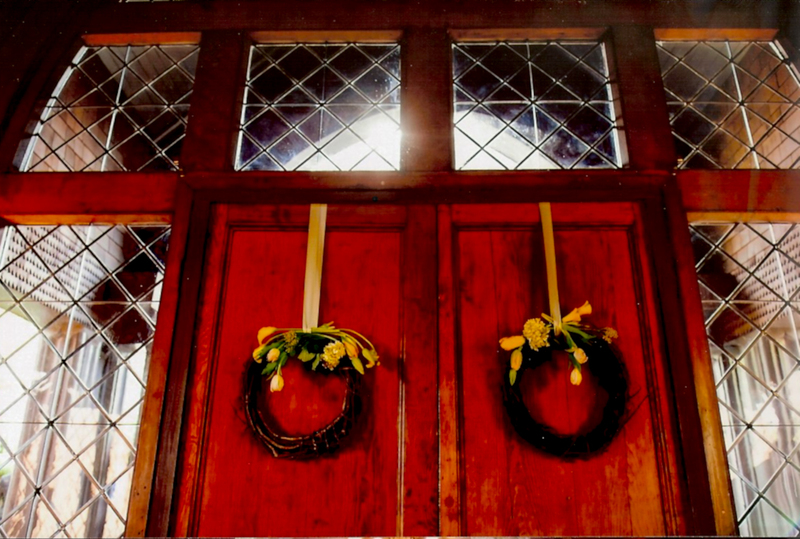 Down the garden steps from the church sanctuary, Thomson Hall and the charming adjoining deck is a lovely spot to celebrate with an informal buffet or an elaborate sit down dinner. The room features beveled windows, Australian hardwood floors, subtle lighting, a baby grand piano, and sound system. The kitchen is just steps away. 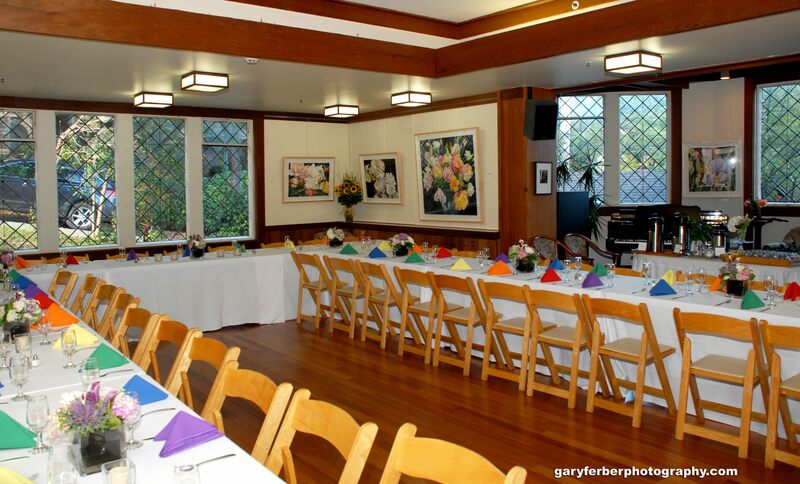 The room’s capacity is 95 guests for a sit-down dinner or 110 guests for a stand-up reception. Cost is $950 for a 3-1/2 hour minimum. A non-refundable deposit of $300.00 secures the date and time. 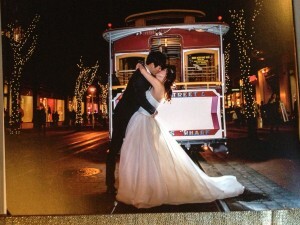 For 13 years and 800 weddings, Shirley has drawn on her life experiences in theatre, music, fashion show production, and floral arts to help couples create and orchestrate an elegant and unique wedding experience. 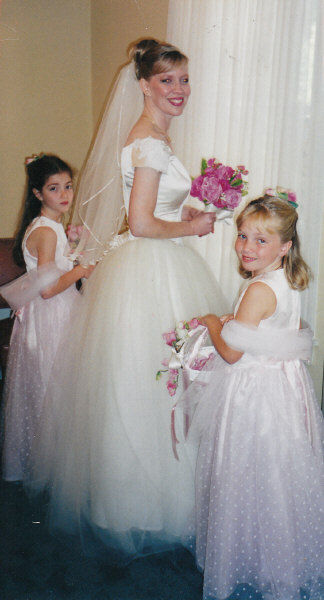 She will be with the bridal party every step of the way, both at the rehearsal and throughout the wedding ceremony. Once your wedding date is booked, Shirley will be available to help customize your wedding to fulfill any unique needs, including flowers, the look of the church, a reception, and comprehensive resources from photographers and wedding singers to caterers. 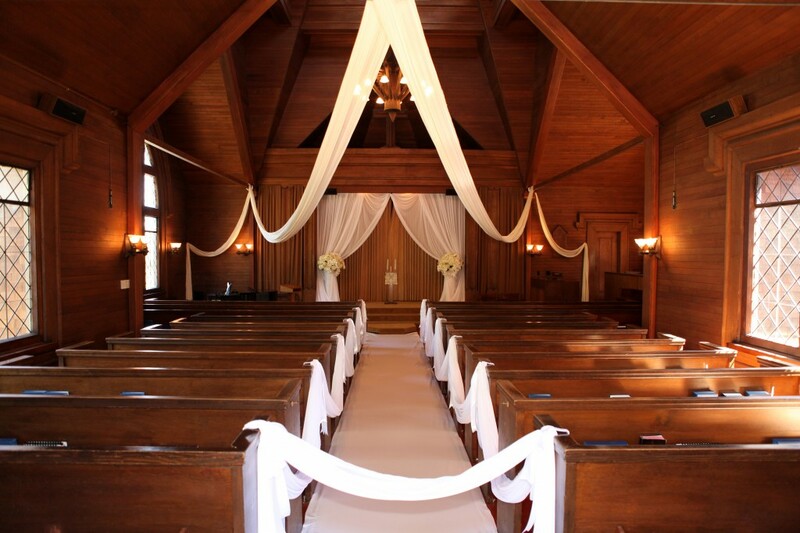 We want to let you know how much we enjoyed working with you to plan our wedding at the church. You were beyond accommodating and plain fun to work with. 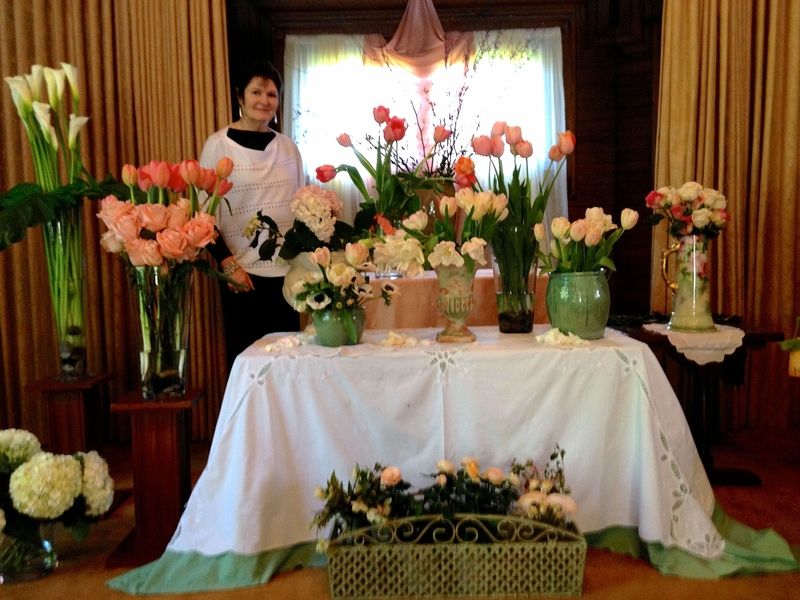 We received many compliments, not only on the church, but also the gorgeous flowers you did for our day. 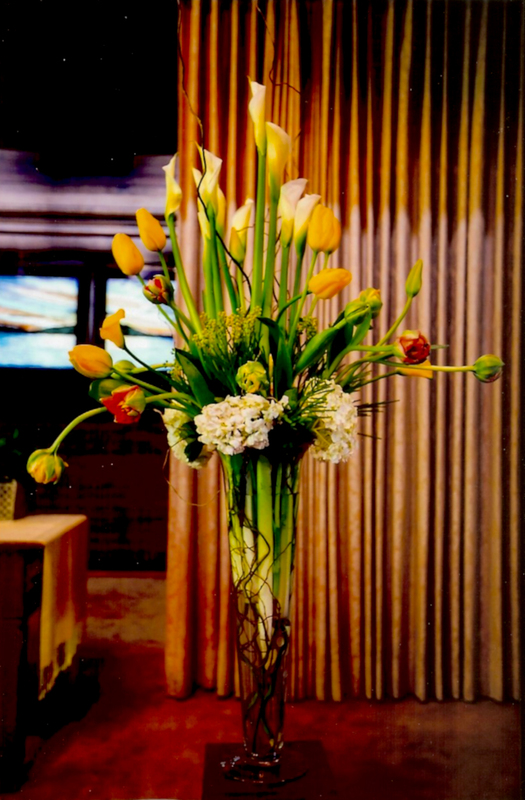 You have a real gift in flower arranging. Thank you again for making our wedding day perfect! 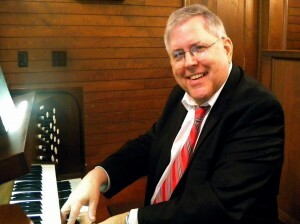 Ralph Hooper, composer and conductor as well as our church’s organist and choir director, has provided music for over a thousand weddings, from small private ceremonies to major, high-profile services. He is a delight to work with. For your wedding, Ralph can offer a wide variety of classical organ works as well as theatrical and film music. Major processional music includes Jeremiah Clarke’s highly popular The Prince of Denmark’s March, Johann Pachelbel’s elegant Canon in D, as well as Richard Wagner’s traditional Bridal March. 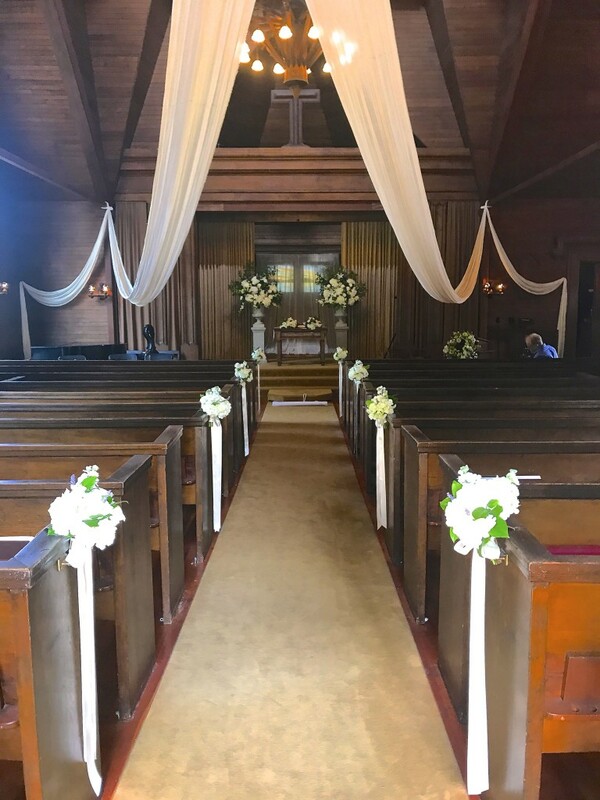 Recessional music includes Mendelssohn’s Wedding March, Henry Purcell’s exciting Trumpet Tune, and a dazzling, original arrangement of the Ode to Joy from Beethoven’s Ninth Symphony. And these pieces are just the beginning. For those who want to include theatrical or film music, the sky is the limit. 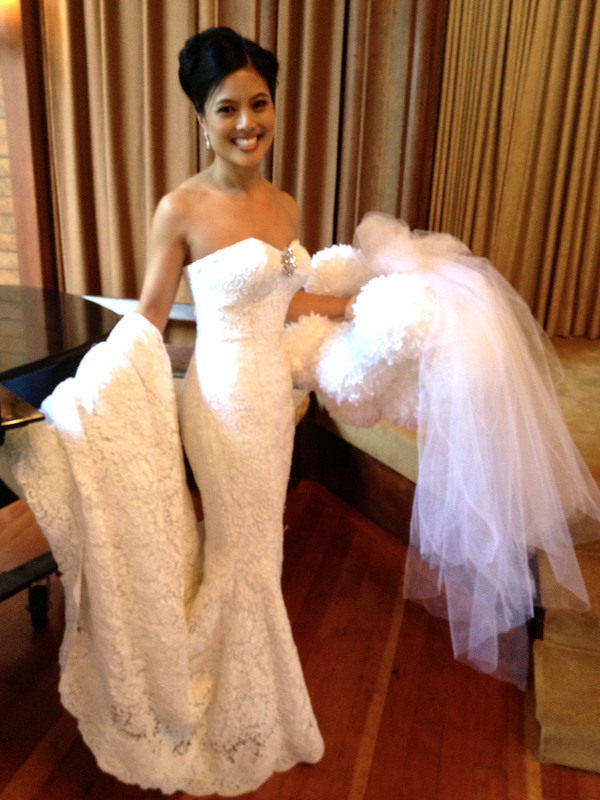 Composers like Leonard Bernstein, Stephen Sondheim, and Andrew Lloyd Webber have graced a number of recent weddings. 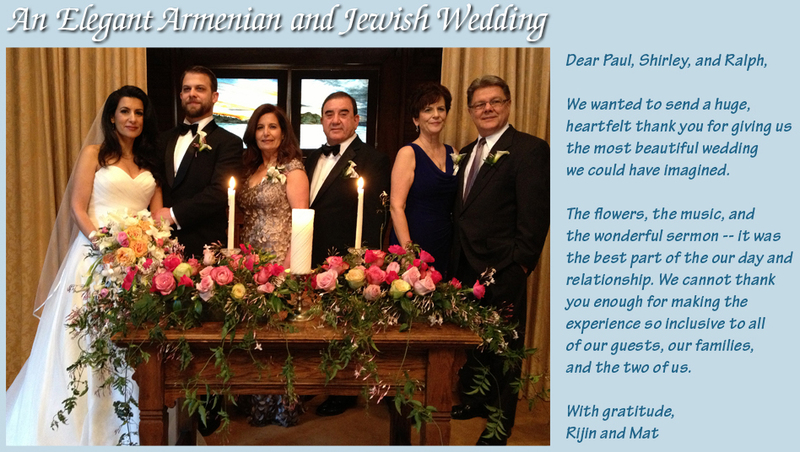 Ralph meets with each couple in the planning stages of your wedding and then keeps in touch via email.